Construction firms save time and money when they adopt industrial construction methods. Courtesy Robert Umenhofer. “Industrialized” construction may not exactly sound fun to longtime contractors and builders who relish the craft aspects of their trade. But the adoption of industrial, prefabricated, and manufacturing techniques by construction firms is an emerging way to realize the efficiency gains so elusive in architecture, engineering, and construction while improving profitability, project quality, and even addressing skilled labor shortages. 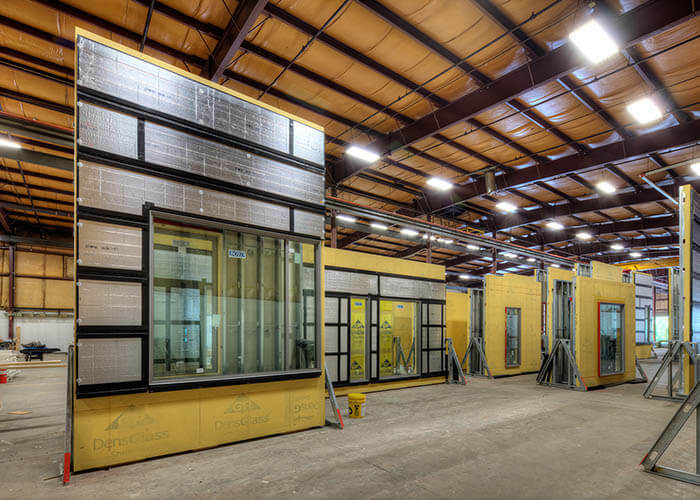 Consigli, working with ManufactOn—an Autodesk Forge Fund partner founded to help the construction industry integrate prefabrication tools for supply chain, prefab production, and planning—has prioritized the industrialization of its construction business for several years. But it isn’t a transition it has tried to implement at breakneck speed. Rather, Consigli found that a gradual transition that focuses on individual processes worked best. Here are three ways Consigli moved gradually into industrialized construction. In large-scale commercial construction, managing vendors and supplies is as complex as managing supply chains at manufacturing plants—maybe more complex, as construction supplies and materials change with each new project and might need direct delivery to project sites, prefabrication facilities, or a central warehouse. Better supply-chain management is also low-hanging fruit when it comes to saving money and spotting opportunities for part-kitting and off-site prefabrication. Just-in-time deliveries cut down on congestion at construction sites. Courtesy Robert Umenhofer. Now, having implemented the ManufactOn material-management module, Consigli is using QR codes and mobile devices to track and coordinate deliveries and apply industrial warehouse–management techniques for much greater visibility into the entire supply chain. One of Consigli’s goals was to increase the percentage of just-in-time deliveries to jobsites, which minimizes congestion on crowded projects and is more efficient. One approach is working directly with vendors to improve deliveries. For example, Consigli now receives doors and door hardware as kits rather than as individual loose items. Traditional construction depends heavily on skilled labor on jobsites, as basic materials and parts are assembled into completed facilities. Industrialized construction aims to move much of this skilled work off-site, into controlled environments. This can be done by kitting parts off-site, or by actually prefabricating large modules at dedicated facilities. 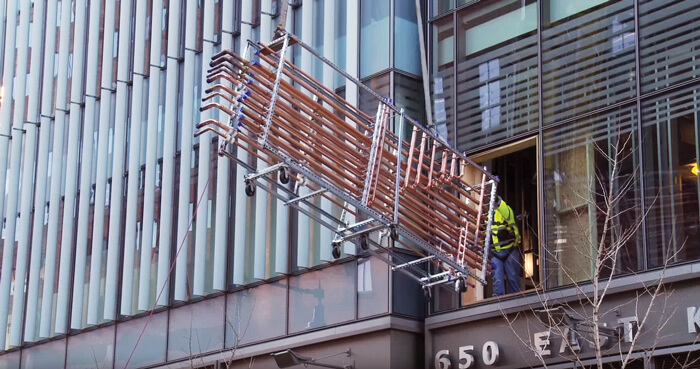 Consigli workers deliver parts and assemblies on “smart carts” that workers can wheel right where they’re needed on the jobsite. Courtesy Robert Umenhofer. For example, Consigli now takes advantage of better supply-chain insight by packaging all the materials needed to install and finish windows at its warehouses, rather than shipping them separately to projects. Warehouse workers collect the windows, trim, drywall, and fasteners into material packages, then deliver them in wheeled Consigli “smart carts.” On-site workers wheel the carts to the rooms they’re working on and have everything they need in one place, without extra materials getting in the way. 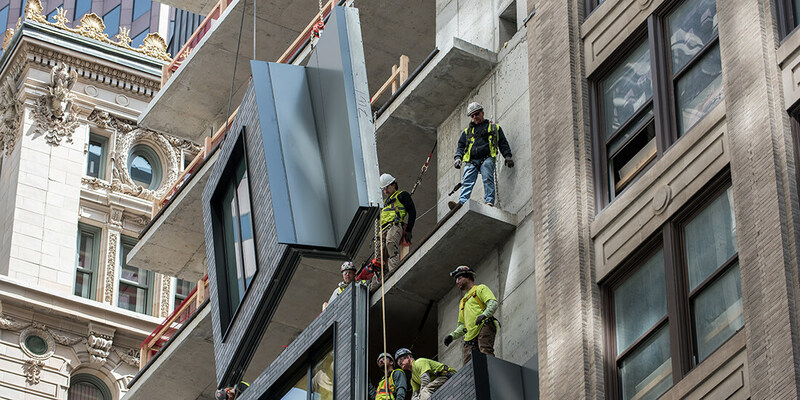 Take a look at what’s driving construction’s gains in efficiency. Consigli uses 3D modeling tools such as Autodesk Revit to create models of individual floors, rooms, and smaller components like electrical and plumbing modules. 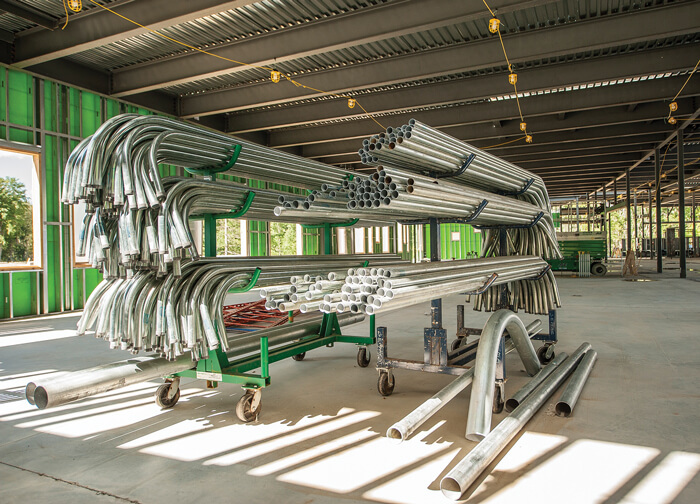 These are used as guides for precise off-site prefabrication; large modules can then be delivered to jobsites, ideally on the day they’re needed. To continually improve deliveries and prefabrication, Consigli depends on short end-of-day meetings to get feedback on kit completeness and module fit. Consigli continually identifies prefabrication opportunities and collects data and feedback, improving its process. Courtesy Robert Umenhofer. Riggs crews looked at the problem and found that many of the sunshade components could be packaged together, with the correct fasteners and hardware attached to frame pieces. And many components could actually be assembled into relatively large modules, reducing on-site construction time and congestion. “We’re certainly going to look for even more ways to do that,” McCabe says. Dedicating internal crews to industrializing construction processes has been a big win for Consigli. By doing the work of identifying and completing prefabrication opportunities, the company has good data on the benefits and is able to collect feedback that continues to improve the whole process. So, even though the move to industrialized construction has been gradual, it has been steady, with efficiency gains at every step along the way.